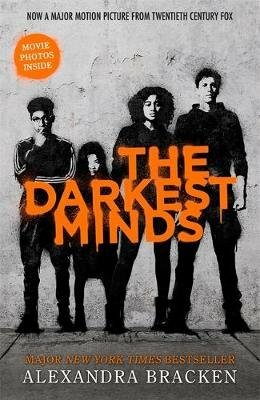 The first book in the heart-stopping The Darkest Minds trilogy, by New York Times bestselling author of Passenger, for fans of Divergent and The Hunger Games. Now a major motion picture from the producers of Stranger Things and Arrival. A mysterious disease has killed most of America's children. Ruby might have survived, but she and the others have emerged with something far worse than a virus: frightening abilities they cannot control. Pressured by the government, Ruby's parents sent her to Thurmond, a brutal state 'rehabilitation camp', where she has learned to fear and suppress her new power. But what if mastering it is a whole generation's only chance for survival? Alexandra Bracken is the New York Times bestselling author of Passenger, Wayfarer and The Darkest Minds series. Visit her online at www.alexandrabracken.com and on Twitter @alexbracken. The Hunger Games's Amandla Stenberg and Game of Thrones's Gwendoline Christie star in the riveting film adaptation - out now!